With two locations to serve you, our friendly and knowledgable staff is always ready to answer your questions. 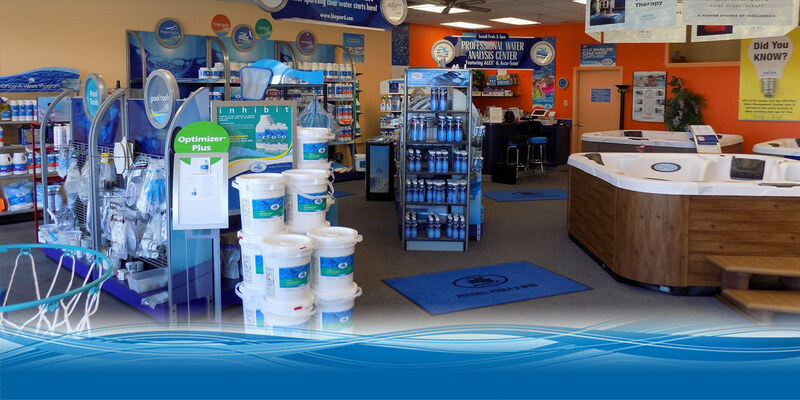 Our North Canton store features a large display of Dimension One Spas, while both locations stock the complete line of BioGaurd pool chemicals and other pool additives you need. We also stock a large selection of pool accesories, From cleaners to covers and everything inbetween â€” If its pool or Spa related, weâ€™ve got it. What you won't find in our stores are a bunch of patio furniture, grills, or game tables. Just Pools and Spas. They have been our focus for over 50 years. Need to drop of a water sample? No problem, we do that as well.